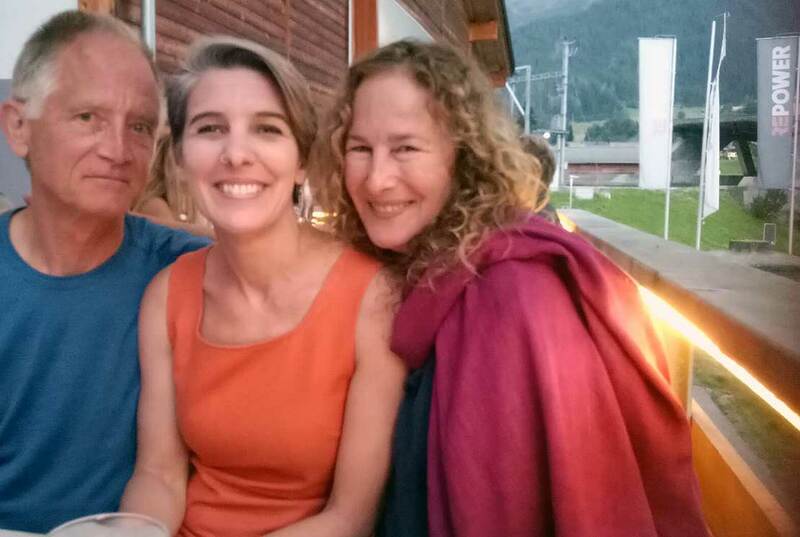 Dr Trisia Farrelly (centre) at the Klosters Forum with leading endocrinologist Dr John Peterson Myers (CEO and chief scientist at Environmental Health Services, United States) and Dianna Cohen (American artist, activist and co-founder of the Plastic Pollution Coalition). Dr Farrelly, from the School of People, Environment and Planning, was invited to speak at the recent Klosters Forum (TKF) in Switzerland. She was joined by world-leading environmental scientists, social entrepreneurs and international non-governmental organisations at the global forum on how to stem the flow of plastic waste into the ocean. In her presentation, she argued for more public and political pressure on industries and governments to regulate for the prevention of most single-use plastics. During the forum, she was asked to join the UN taskforce to help formulate an international legally-binding treaty on marine plastic pollution – a role she is delighted to have been offered regarding an issue she is passionate about. Dr Farrelly says that a global approach to tackling marine plastic pollution is vital though complex, and that effective policies will need to consider diverse socio-economic realities across nations and regions. Describing herself as an “indefatigable optimist” when it comes to plastics pollution, she has a deep commitment to working with a wide range of interest groups to democratise the science and policy of plastics and to halt the production of unnecessary, non-recyclable and toxic plastics. This has involved lobbying government, speaking to a parliamentary select committee, public speaking, featuring in short, educational films, and organising national and international plastics forums and conferences; engaging communities in single-use plastic awareness-raising activities; and providing a critical voice in the media. As well as campaigning to phase out single-use plastic bags, she is also a leading global voice in calling for a ban on plastic glitter – a form of microplastic that does not break down in the environment and can have a toxic effect on marine life, including in fish consumed by humans. As well as being co-founder and trustee of the New Zealand Product Stewardship Council; co-director of Massey University’s Political Ecology Research Centre; co-founder of environmental lobby group, Carrying Our Future; and a founding member of New Zealand Alternative, she is also involved in the formation of an Aotearoa-based organisation focused specifically on plastics pollution. Dr Farrelly says that while campaigns encouraging people to reduce, re-use and recycle plastics and to take part in beach clean-ups are all worthy in raising awareness and developing positive habits, more focus on plastics producers and their relationships to the oil, gas and chemical industries is needed to have real impact. She was also recently named one of 20 SYLFF (Japan-based Ryoichi Sasakawa Young Leaders Fellowship Fund) selected to attend two Leaders Workshops in Japan later this year and in 2019. The 20 successful participants were selected from 114 applicants from 45 SYLFF institutions and 36 countries. The Sylff Program is a collaborative initiative of the Nippon Foundation, the endowment donor, and the Tokyo Foundation for Policy Research, the programme administrator. It was inspired by the vision of the late Ryoichi Sasakawa, philanthropist and founding chairman of the Nippon Foundation, who said that “The world is one family, and all mankind are brothers and sisters”. Plastic bag-free status for Palmy street?